This interview with the Irish Times (not Ezra Klein) is much better than the one I originally linked to below. Ezra Klein talks to Angela Nagle. It's still normie normative, but Nagle has at least done some homework. Click the link below to hear the podcast. Angela Nagle spent the better part of the past decade in the darkest corners of the internet, learning how online subcultures emerge and thrive on forums like 4chan and Tumblr. 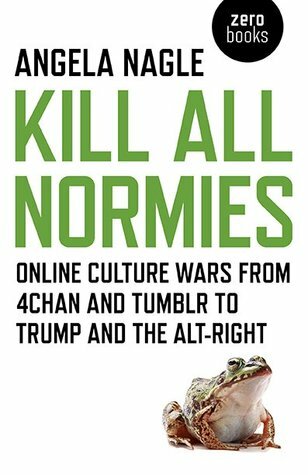 The result is her fantastic new book, Kill All the Normies: Online Culture Wars From 4Chan And Tumblr to Trump and the Alt-Right, a comprehensive exploration of the origins of our current political moment. We talk about the origins of the alt-right, and how the movement morphed from transgressive aesthetics on the internet to the violence in Charlottesville, but we also discuss PC culture on the left, demographic change in America, and the toxicity of online politics in general. Nagle is particularly interested in how the left's policing of language radicalizes its victims and creates space for alt-right groups to find eager recruits, and so we dive deep into that.